There are so many reasons to start teaching kids to meditate. By practicing some mindfulness / meditation exercises kids can focus their minds, improve their health, and feel good about themselves. Caring parents know that there are lots of benefits of meditation for kids. And millions of enlightened parents are starting to teach kids to meditate. With this guide, you can get started too. In this guide I’ll show you the best types of meditation for kids, and I will share 10 great mindfulness exercises for children (I’ve written an additional guide to mindfulness exercises too). Just make sure you understand the basics of meditation and that you understand how to do mindfulness meditation before you teach your kids. There has never been a better time to start teaching meditation to children, and also to teach mantras too. Kids face serious mental health issues today. As a caring parent who fights for your kids health and happiness, you have probably tried very hard to find ways to stop your kids feeling stressed, right? Scientific research has proven that kids today have more pressure and stress today than in any other generation in history. Worse, your kids could be suffering from stress without you being aware (one reason why we invite you to share this post on Facebook to help spread mindfulness among parents so less kids have to endure stress and anxiety). Millions of kids suffer stress while their parents are unawares. “It’s not always easy to recognize when kids are stressed out, but short-term behavioral changes — such as mood swings, acting out, changes in sleep patterns, or bedwetting — can be indications. Some kids have physical effects, including stomachaches and headaches,” says KidsHealth. Put simply, kids are under too much pressure. And it is affecting their health. When you start teaching kids to meditate you help them cope with these problems. For caring parents, mindfulness and meditation offer a way to help children to manage their stress and emotions. What’s more, it can help to improve behavior and cognition, too. Compassionate parents see the benefits in teaching meditation for children, along with the other essentials, like stopping their screen addiction. You know there are tons of benefits of meditation for adults. There are tons of benefits of meditation for kids, too. Teaching kids to meditate is one of the best things families (or school teachers) can do. And if you are interested in becoming a meditation teacher, one of the best areas is to focus on is kids health. 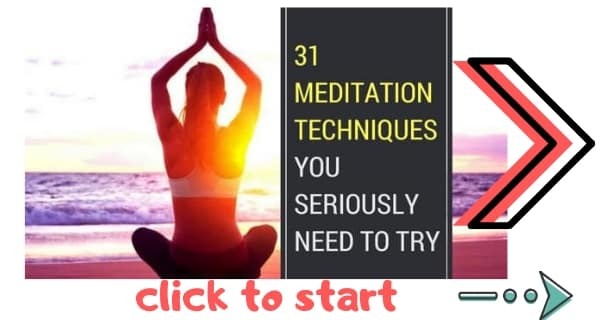 click the link above to see the complete list of the benefits of meditation, along with the scientific proof, which I have personally researched in-depth. Meditation helps children to develop their focus and attention. There is mounting evidence (4) that meditation helps kids with ADHD. A 2004 study showed that kids who practiced meditation with their parents in a clinical setting twice a week and then continued to practice at home had improved attention span and focus. In another study, teens and their parents completed a mindfulness program and reported fewer stress levels and fewer ADHD symptoms, such as impulsiveness and emotional reactivity. Meditation removes negative thoughts along with worries. Mindfulness helps teens overcome the stress associated with peer pressure. But is it really safe to start teaching kids to meditate? Before you actualy start teaching kids mindfulness and meditation, you need to be aware of the serious health risks of meditation. Yes, even though there are lots of health benefits of meditation, there are risks too. Scientific research shows that meditation can cause health complications, and especially for kids with epilepsy (meditation can predispose kids to seizures). Of the 31 major meditation techniques in use today, the majority are 95% safe for children. That said, caring parents will know to seek professional advice from a healthcare professional before starting a meditation practice. As a conscious meditation teacher I feel it is my responsibility to pass on this truth. And unlike most online publications, here at THE DAILY MEDITATION we believe in telling you everything you need to know, both good and bad. So, consider your kid’s individual needs. Parents of children with a history of mental health problems must consult advice from a healthcare professional. And I strongly advise other parents to do the same thing. Mindfulness is perfectly safe for most kids. And it is very beneficial. So how can you start teaching kids to meditate? Make sure you follow these general guidelines before starting the mindfulness exercises for kids below. You want to teach your kids to meditate properly. That’s why it’s essential to know the basics before you begin. Meditation is about focus, and lot’s of influences effect a child’s ability to focus. For instance, the environment they are in and the amount of noise in the room can have a huge effect on a kid’s focus levels. Even the time of day can effect a meditation. For instance, dont teach kids mindfulness when they are hungry. They simply wont focus. I’ve written a guide to the basics of meditation, in which I share everything you need to know before you begin. Take a look. If you want to start teaching kids to meditate, make sure you know how to meditate yourself. 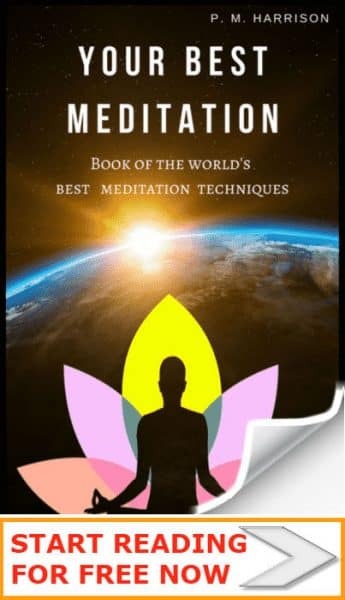 Before teaching kids meditation, make sure you know how to meditate yourself. And never give a kid a mindfulness exercise to do unless you’ve tried it yourself first. Go slow even if your kid is a genius. If you rush you’ll be in danger of giving your child incorrect information. So go slow and make sure that your kids know precisely what they are doing when they meditate. Remember, half the battle of mindfulness is slowing down the mind. So naturally, a slow approach is best. When you’re teaching kids meditation, follow the “one minute per year rule”. This is one of the best guidelines when teaching kids to meditate. Many experts agree that the amount of time a kid or teenager can meditate for is roughly one minute for each year they’ve been alive. So, for example, a ten year old can meditate for ten minutes. Never ever ever criticise your kids ability to meditate. This is the worst thing you can do when teaching kids to meditate. Self acceptance is 90% of mindfulness. And a parent’s behavior has a huge effect on a kid’s level of self acceptance. That’s why enlightened parents do not judge. Enlightened parents encourage positive behavior by example. Therefore, do not worry if your kids aren’t immediate Zen masters. There’s a good chance the little terrors will struggle to focus the first time around. And that is absolutely fine. The more they practice, the better they will be. One key to success when teaching kids to meditate is to be patient with them. Take a look at my list of mindful habits. They are excellent gentle ways to teach kids to meditate (and they work for adults, too). Once you’ve taken a look at that link above, try these mindfulness exercises for children. This is an easy mindfulness exercise for children, and it’s one of the best ways to start teaching kids to meditate. 1. Ask your child to close their eyes and focus on their breathing. 2. Keep an eye on the wall. When two minutes have past, proceed to the next step. 3. Ask them to focus on what they are hearing. It may help if you ask them to describe, in detail, the sounds they are hearing. This makes them tune in to the sounds around them, which will cause them to focus on the present moment, which decreases rumination and help with any negative thoughts. 4. Ask them to pay attention to the sensation of touch. Have them describe what they can feel (for instance, wind on the face, soft grass at their feet etc). 5. Ask them to focus on scents. How does the air smell? Are there any other scents they are aware of? etc. 6. Now move to taste and repeat. 7. Finally, ask them to open their eyes and simply look around. You may ask them to focus on light, on shades and on other visuals to make them mindful of sight. This meditation exercise makes kids more aware of the present moment and helps them to focus on one thing at a time (in the exercise they focus on the sense one at a time). In this age of constant stimulation, many children (and adults) struggle to focus. This technique boosts focus and concentration by asking your kids to just zone in on one thing at a time. Another great mindfulness exercise for kids is mindful breathing. Breathing meditation is often the best place to start with any sort of meditation practice, so it’s ideal for adult meditators as well as kids. Remember to follow the one minute rule. Kids should meditate for a maximum of one minute for each years of their life. Ask your child to sit comfortably with good posture and to close their eyes. Bring their attention to the sensation of their breath coming and going through the space between their mouth and nose. Ask them to place both their hands on their stomach and to feel their breath rising and falling from there. You may also ask them to repeat a simple word as they breathe in and out, saying “In” on in-breaths and “Out” when exhaling. Work in cycles of five breaths. Have them count five breaths and then ask them to be aware of any thoughts or feelings in their mind. If they are experiencing thoughts or feelings,, ask them to let go and to return their attention to their breath. This is a simple mindfulness exercise. 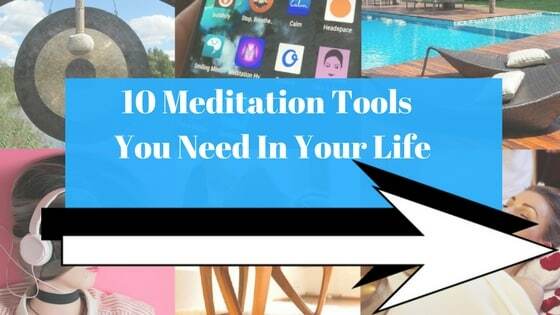 It is great for relaxation and it also improves focus and concentration. Many kids struggle with listening skills. If your kids struggle to listen, try this meditation exercise for kids. Ask them to focus on their breathing for a few minutes. Explain to your child that they are going to hear a sound and that they should focus on the sound as it gets quieter and quieter. Ask them to nod their head when they can no longer hear that sound. Gradually quieten the sound. When they nod their head (saying they can no longer hear it) have them count five breaths again. Repeat this exercise once for each year of their age. The purpose of this exercise is to increase kids’ auditory awareness while also quieting their minds. Because they are focusing on listening to a quiet sound they will naturally stop a lot of the mental noise that they may have (because they need to be inwardly silent in order to listen). This produces mental peace and inner silence. And it is also a good way to improve kids listening skills. This exercise makes kids more aware (and more appreciative) of food. It can also help with weight loss and diet. Gather some food into a plate or bowl. Have your child count to five breaths. Now ask your child to be mindful of the food on the plate, being aware of the feeling, the image and the scent of the food. If they are holding cutlery you may ask them to be mindful of that too. Ask your child to take a small portion of the food and to eat it slowly while focusing on the taste. Ideally, they will chew slowly and will focus on the activity of eating. Once they have finished eating, ask them to describe the taste and feeling of the food. Finally, ask them to take five mindful breaths. This exercise is highly beneficial. It helps kids to be more mindful. And it makes them more aware and more appreciative of food, which can help with any eating problems. Walking is one of the traditional meditation exercises in Zen Buddhism and is a great exercise for children. I’ve created a complete guide to Zen Walking to help you get started. But let’s take a look at some specific notes for kids. Take a short walk with your kid(s) somewhere relaxing and safe. Ask them to focus on the sensation of movement in their feet and legs. Continue walking slowly, while focusing on the movement. If your child shows a lack of concentration at any time, stop walking and have them count five breaths. After the five breaths, continue to walk mindfully. After 20 minutes of walking, stop. Ask them to describe how they feel. This is one of the easiest and most relaxing meditations there is. Try it at the beach or in the park for a truly relaxing experience. In this mindfulness exercise, kids play a fun game like finger-painting, using a sand table, or a similar activity. Start by asking them to take ten mindful breaths. This will help them to relax and focus. Now tell your child that they can play in whatever way they like but with one condition: they must be mindful of everything they do. Whatever they choose to do during play, they must focus on it absolutely, as we do when meditating. Ask your child to be aware of all five senses, being mindful of taste, touch, sight, sound and hearing. If they lose focus, use five mindful breaths to regain their attention. This exercise boosts children’s concentration. And it’s fun at the same time. Many children love painting and drawing, both of which can easily be turned into meditation practice. Here’s how. Find an object that your child wants to draw or paint. Now ask them to observe every aspect of the object for 5 minutes. Ask them to describe the shape of the object, the feeling, and so on. This encourages them to practice mindfulness. They can then draw or paint the object, but they must focus absolutely on the object while they create their art. This is a great creative exercise that boosts mindfulness and increases awareness. If you’ve tried my Zen Cooking exercise you’ve probably noticed how fun and mentally stimulating cooking can be. Here is a great mindfulness exercise for kids who enjoy cooking. Get hold of a fun and simple recipe that your child might like to cook (some healthy cookies, for instance). Gather the ingredients, along with any utensils you need. Go through the recipe. Each time you get to a new item, ask your kids to mindfully observe that item. Ask them watch the effect that each new ingredient has one the colour, taste, touch, and smell of the food. This mindfulness exercise boosts present-moment mindfulness, encourages kids to be more mindful of what they are eating, and teaches them to cook, all at the same time. A very enjoyable way to teach kids to meditate is by listening to music. This is actually how I personally learnt mindfulness myself, all those many, many years ago. I played piano and would meditate on the music I was creating. All kids can do this technique, whether they play an instrument or not. Play the tune to them for a few minutes and ask them to listen closely. They should learn the tune as they listen. Ask them to focus on the music 100% while they recite it. Afterwards, ask them to describe the way the music makes them feel. This exercise make your kids more aware of sound, and it enhances mind-body connection. By focusing on the movements of their body while they perform the music, your child connects with their body in the present moment, boosting present moment mindfulness. It also makes them more aware of the way they are feeling, which can help with emotional control. This final exercise is simple but powerful. Meditation is much more effective when practiced in a group. I highly recommend informing your friends about meditation for children, and arranging group sessions. I’ve personally been helping parents to teach meditation to children for years. Not only does it help both parents, teachers and kids to relax and focus, but it creates a strong, supportive group that in itself is immensely beneficial. I have previously shared 25 mindfulness habits, which lots of meditators have found very useful. Take a look at that link. The majority of techniques in the list are suitable for both adults and kids or teens. 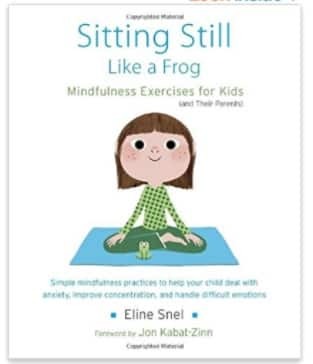 If you’re looking for a great book to help you teach meditation to children, I highly recommend Sitting Still Like A Frog. Sitting Still Like A Frog is full of great mindfulness exercises that are perfect for kids. It’s written by Eline Snel and Myla Kabat Zinn, two renowned mindfulness teachers. Scientifically research proves that mindfulness is massively beneficial for kids and teens. It is saddening that anxiety and depression are at an all time high in kids and teens. The good news is that caring parents can do something about it. Teaching kids to meditate is one of the best things families can do together. It makes kids healthy and happy, and it teaches them to control their mind and emotions–an essential skill that will be of immense value to them for their whole lives. If you have found this guide helpful please share it. This way more parents will teach kids to mediate, and we will help to save kids and teens from the pains of anxiety and depression. I’ve added additional sources and research information. Hope it helps. Thanks for your comment. You may want to provide the research which states that Mindfulness cures ADHD. I am a firm believer that it may treat the symptoms associated with ADHD and other diagnosis- even behavioral issues (and more). However, to say that it CURES ADHD is a bet of a stretch. Whatever the case may be, providing research studies to your statements gives it more credibility! Breathe easy.